Here’s to another fun filled weekend in Birmingham! From the Southern Women’s Show to Vulcan Aftertunes, there are plenty of great events for you to enjoy! Check out the full list below, and don’t forget to check out the list of Future Happenin’s to stay up to date on even more wonderful events heading your way! Shop, sample and share the fun October 4-7 at Birmingham's favorite event for women! Discover hundreds of boutiques filled with the latest fashions, trendy jewelry, gourmet treats, health and beauty, and so much more. Enjoy fashion shows, top chefs, and celebrity guests. Bring your mom, sister, and best friend and spend the day doing everything you love! The Birmingham Greek Festival began in 1972 and is one of Birmingham's oldest cultural food festivals and most highly anticipated southeast event. The festival is an act of love of Birmingham's Greek community going back to 4 generations preparing authentic Greek cuisine. For three days you will experience the Greeks’ legendary zest for life. Besides delicious Greek cuisine, you'll enjoy Greek music, dancing, and a warm spirited atmosphere that embraces everyone as family. As thousands of returning patrons can attest, you will leave a devoted fan. The festival offers free admission, indoor and outdoor dining, and food plates are individually priced. 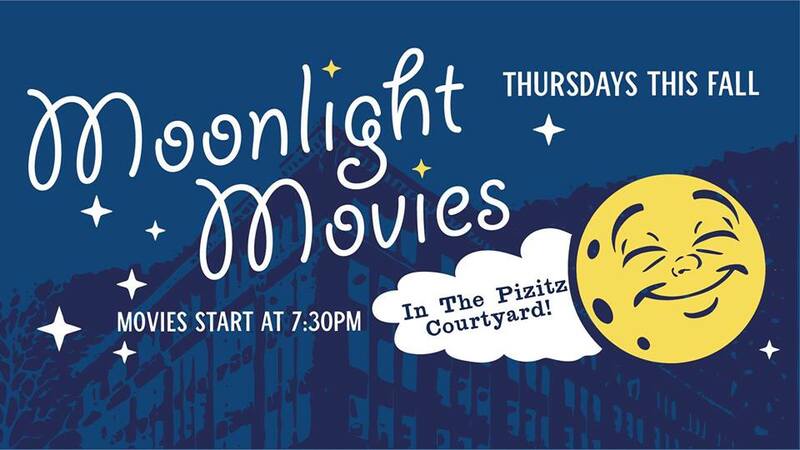 “HEY YOU GUUUYS!” Head to the Pizitz courtyard for “The Goonies” as part of the six-week fall movies series, "Moonlight Movies." Make a date for dinner, drinks and a movie all at The Pizitz Food Hall Courtyard (folding chairs encouraged.) There will be a weekly themed cocktail from The Louis Bar! Naughty But Nice Kettle Korn will be popping up in the courtyard for your snacking needs. The Museum is open late on first Fridays in September through April for an evening of art, music, makers activities, and more! See our collection in a new light when you take an adults-only gallery tour. Discover the maker within and bring home your own masterpiece to put on the fridge. Sip a specialty cocktail crafted by a local mixologist while you enjoy the sounds of a local band. Art After 5 is a free night of fun and entertainment for everyone in Birmingham! 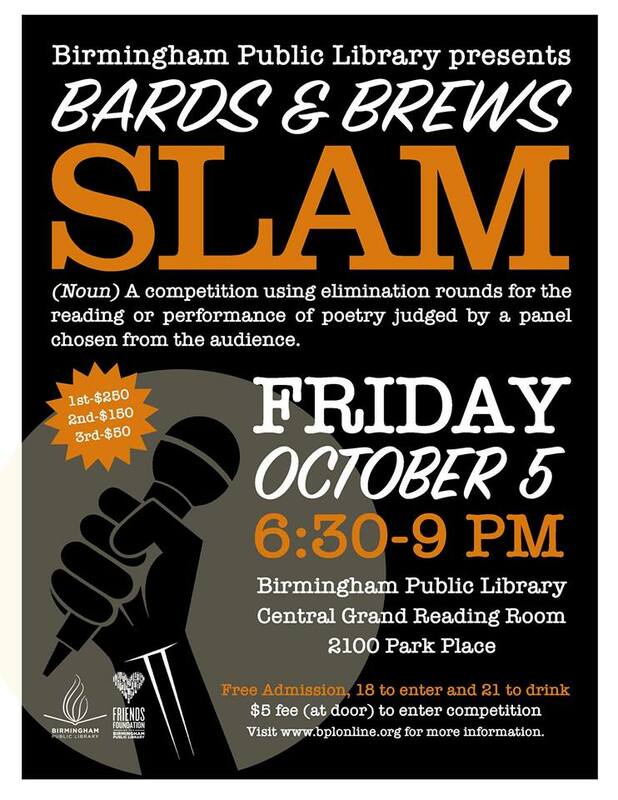 This edition of Bards & Brews will be a slam—a competition using elimination rounds for the reading or performance of poetry judged by a panel chosen from the audience. Slam prizes: 1st place $250; 2nd place $150; 3rd place $50. The prize money is made possible by a generous donation from the Friends Foundation of the Birmingham Public Library. Central Library Grand Reading Room. Free to attend but there is a $5 fee to enter the competition. Must be 18+ to enter and 21+ to drink. IDs will be checked. 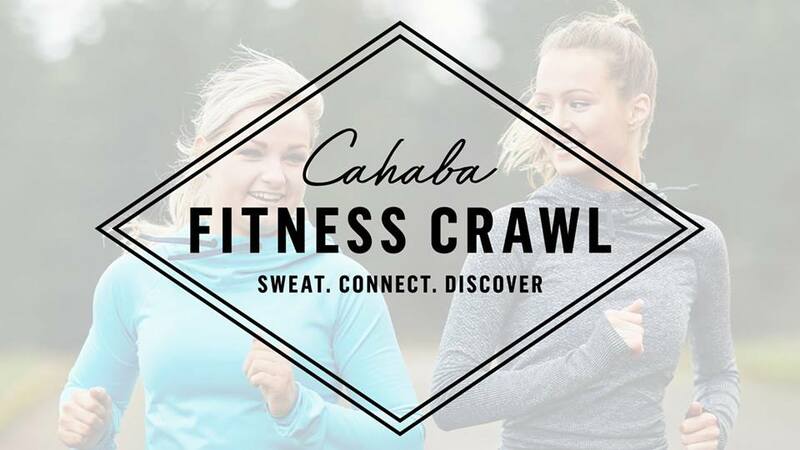 Join the Cahaba Heights Fitness Community on Saturday, October 6 for the ultimate Fitness Crawl! Participants will sweat through three different workouts at True40, CrossFit Mudtown and Club Pilates. During your fitness trek from studio to studio, you will connect with new friends and old as you discover Cahaba Heights by foot. The Fitness Crawl will be begin and conclude at Fig Tree Cafe. You will warm up with a live DJ, and from there the adventure begins! After traveling to each studio for a brief workout, everyone will finish at the Fig Tree Cafe where you can celebrate the community with drinks, giveaways, music and more. Your ticket will include exclusive coupons to Cahaba Heights businesses as well as one drink ticket to Fig Tree Cafe. The 55th Annual Bluff Park Art Show is set for Oct. 6, 2018, and will bring more than 150 artists to the community park in Bluff Park, Hoover, Alabama. Art enthusiasts – both new and experienced - can enjoy an early fall day to view and buy fine art while enjoying the wholesomeness of the historic Bluff Park community. The Bluff Park Art Show is free and open to the public. Free shuttles are available to bring people to the park as there is no parking available at the park. It’s almost time! You don’t want to miss out on this year’s Party With A Purpose! There will be tons of giveaways, food, fun and prizes not to mention health fairs, on site job recruiting and power packed entertainment! There’s also a special surprise in store for all attendees! 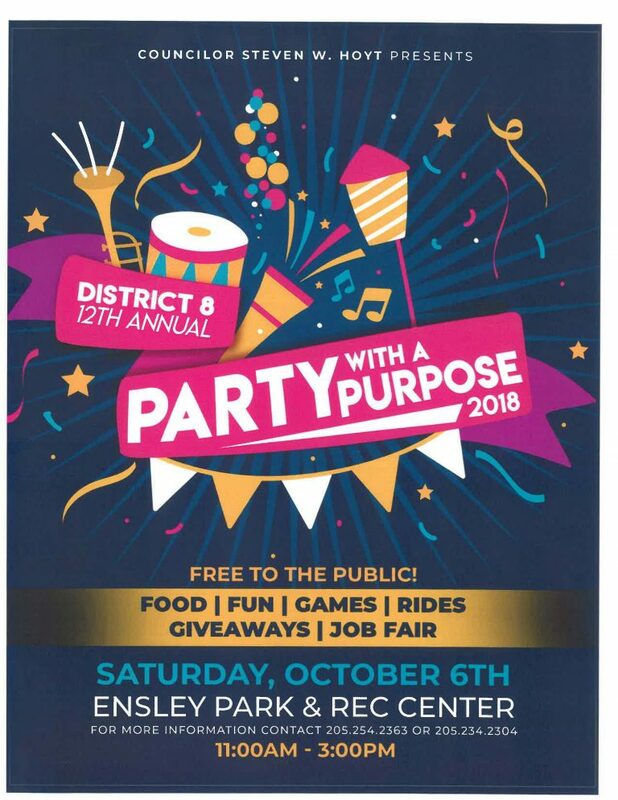 ALL of this and more takes place this Saturday October 6, 2018 from 11am to 3pm at Ensley Park and Rec center! Come enjoy food, music, and fun at the 4th Annual Brazilian Day Festival! The money raised from Brazilian Day is used to support missionaries and projects in the United States and around the world. Horizon Church supports 18 different missions projects on a monthly basis. These include building churches, providing bible training for pastors, ministry to widows, and bring hope to those in need. Put on your lederhosen and join us for Birmingham's biggest German-themed party, Birmingham Oktoberfest 2018! On Saturday, October 6th enjoy a variety of deliciously cold beers, German food, live music, and Oktoberfest-themed games and activities at Railroad Park! Remember AIM? Remember the Ninja Turtles? Remember when you were cool, back in the 90s? As if! We're giving you a chance to redeem yourself. Relive the glory days at the 90s Bar Crawl! Lace up your LA Gears, slap on your bracelets and saddle up your Furbies. Let's take on Birmingham 90s style. The largest national 90s tour is coming back to Birmingham! Enjoy fantastic drink specials at the participating bars in Lakeview! Discover the culture and contributions of Native Alabamians. 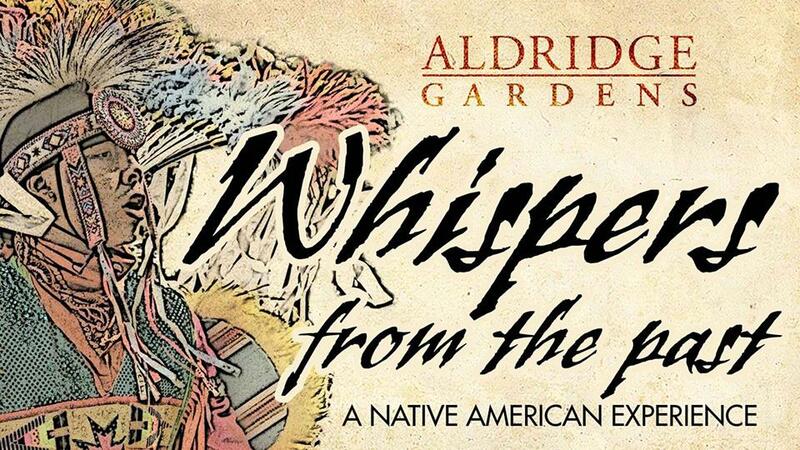 See Native American life take shape through demonstrations, activities, and performances. Hear the sounds of drums and see the highlight of the day, performances by Native American Pow Wow dancers. Celebrate Hop City's sixth anniversary! They'll have more beers brewed by Hop City staff with local breweries, more rare and once-in-a-lifetime kegs, and fantastic food by The Hot Tag, Tamale Queen/Snowies Shaved Ice, and The Anatomy of Pi, LLC! Plus they will have wine, too! Enjoy the amazing weather on the Hop City patio while music plays! And don't miss the silent auction to raise funds for Coosa Riverkeeper! We've got some great brewery items and more up for grabs this year! Grab your blankets and lawn chairs and head to Vulcan Park for the 14th annual Vulcan AfterTunes concert series. This week brings you Iron Horse, a high-energy bluegrass band from Killen, Alabama will headline the second installment. Will Stewart, one of Rolling Stone’s “10 Country Artists You Need to Know” will start the music off in proper order. 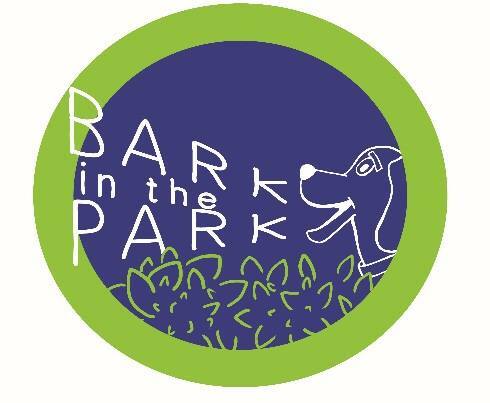 Jazz in the Park is back! Sunday, Oct. 7 from 4 PM to 9 PM. 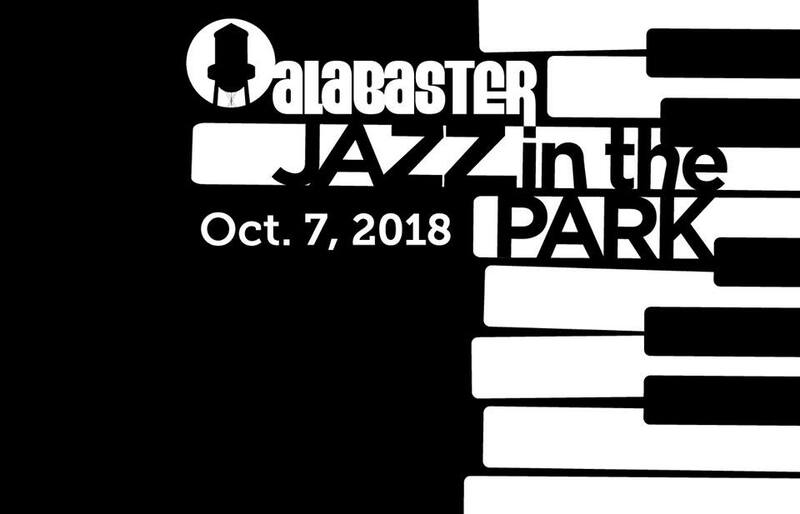 Come out, bring a chair or blanket, and enjoy some smooth jazz at the Municipal Complex. This will be a great way to unwind from a busy weekend!